Apple isn’t done yet with their market dominant MP3 player IPod Nano and has decided to launch a newer model of the same thing, only this time with a sleekier rounded edges look. 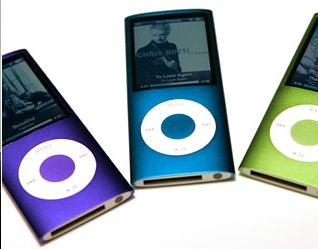 Mr Jobs introduced a curved aluminum and glass nano – the best-selling iPod model – for $US149 ($185) with 8GB of storage, $US50 less than the preceding model, and a 16GB version for $US199 ($247), capable of playing back 24 hours of music or four hours of video. He also showed off a thinner, $US229 ($285) version of the web-connected iPod Touch with rounded edges and 8GB of storage. At the high end, Apple is charging $US399 ($496) for 32GB. Meanwhile Microsoft is also upgrading their Zune player, but is there really anyone who cares about Zune? Just FYI, the Zune line-up is being expanded to include devices with 16GB of flash memory selling for about $US200 ($248) each and a $US250 ($310) model with a hard drive offering 120GB of memory.